Do you want to learn more about homeschooling cons? Parents must learn how to homeschool. - Because most home educators were taught in public school, homeschooling can have a significant learning curve. As a new homeschooler, I was overwhelmed at the thought of planning lessons, instructing my children, and making sure their social needs were met. At times, I wondered if I should just leave everything to the experts at the local public school. However, I learned that when it comes to my children, I am the expert. In addition, I've found many excellent, helpful resources, and my confidence in my ability to teach my children grows every year. Homeschooling requires a significant time commitment. - Unlike most parents of school-aged students, homeschoolers don't have a six hour window of time they can use to cook, clean, work, complete projects, run errands and relax without their children around. As much as I love spending time with my children, there are times I want to work, rest or pursue hobbies without interruption. As a result, I've learned to include at least an hour of quiet time in our day. During this time, my younger children take naps and my older children read or complete independent assignments. Home education can require financial sacrifice. - In addition to paying local school taxes, home educators are responsible for purchasing educational materials for their children, and often have to rely on a single income. Even if the teaching parent works inside our outside of the home, career can take a back seat to homeschooling, thus leading to reduced income potential and opportunities for advancement. However, there are many ways to home school on a budget. 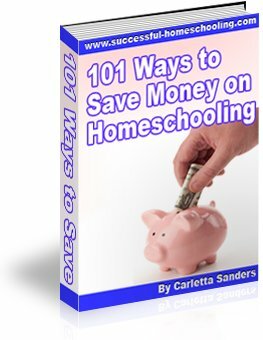 Here are some ideas for lowering your homeschooling cost. Homeschool families are in the minority. - Although the home school movement is growing, parents who teach their children at home are still in the minority. Family members, friends and neighbors may not understand homeschooling or may feel defensive about the choice to send their children to school; thus, leading them to be critical or defensive. Facing criticism from loved ones was one of the toughest aspects of our decision to homeschool. However, as I grow in confidence, I am less affected by the negative opinions of others, and many of my critics have come to appreciate our decision to teach our own children. Homeschooling can lead to burnout. - I will admit that there are days when I am tired, frustrated or overwhelmed by the responsibility of teaching my children. There are days when my children are uncooperative, my patience is running low, and real life gets in the way of our plans. During those times, I take a deep breath, think about why we decided to homeschool and recommit myself to our goals. Homeschooling is a part of real life, and as such, has its high and low moments. Here are some words of homeschool encouragement. Do you want more information about homeschooling cons? Follow this link to learn about the cons of homeschooling from a student's perspective.